Starting this year, Ole Miss students will be able to transfer season football tickets to other students as part of a new policy intended to keep the student section as full as possible during home games. 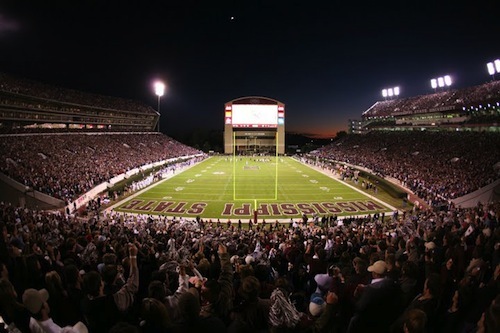 As reported by The DM Online, the university wanted to both offer students more flexibility in the even they unable to attend a game, as well as enable students to put unused tickets to good use. To transfer tickets, students log onto their Ole Miss Athletics Foundation Member account and select the transfer option. To proceed to transfer, the ticket holder has to select an event and enter the recipients’ name, e-mail and phone number. The receiving student must accept the transfer and complete the finalizations sent to them via e-mail within 48 hours to have the ticket successfully loaded onto their student ID. The transfer process is free through the athletics department. “If the students are paying each other for the tickets, that would be a private negotiation that does not involve athletics,” says Wesley Owen, assistant athletics director at Ole Miss. The new policy is likely to come in handy, as student tickets sold out in an incredibly short timeframe. The new policy permits tickets to only be transferred between university student IDs, with only one ticket being allowed on each ID per game.